Chrissy Metz just did not know much she could. 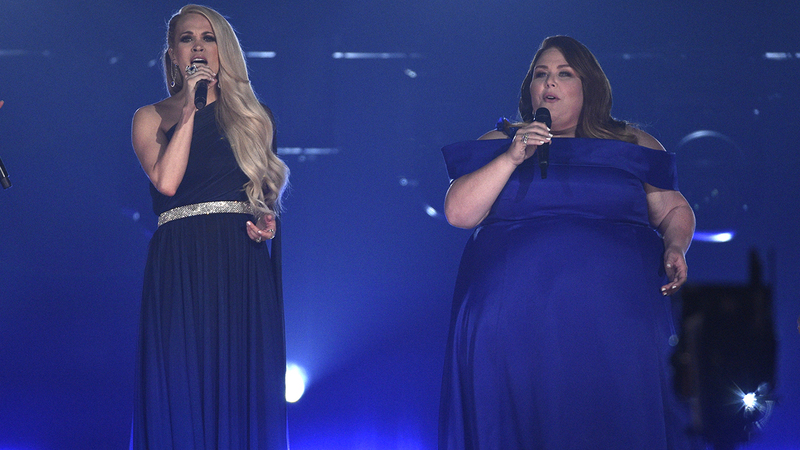 The "This Is Us" actress shocked the world when she took the stage at the 2019 Academy of Country Music Awards at the MGM Grand in Las Vegas on Sunday night to perform "I'm Standing With You" with Carrie Underwood. Her television debut as a singer, the 38-year-old "breakthrough" star, draped in a blue satin-looking off-the-shoulder dress showcased here, during the performance, which was described in honor ACM Lifting Lives – a philanthropic extension of the Academy. Metz's showstopping display quickly earned here from social media viewers who, like many, had no idea she was hiding such an unbelievable voice.